Karl-Erik Sveiby is Professor of Knowledge Management at the Hanken Business School in Helsinki, Finland. He is often described as one of the "founding fathers" of Knowledge Management ' having pioneered many of the fundamental concepts. In 1986 he published his first book in Sweden in which he explored how to manage the rapidly growing "Knowledge Companies", organizations that have no traditional production, only the knowledge and the creativity of their employees. It became an instant best-seller and inspired the very early "Swedish movement" in knowledge management in both research and practice. His book 1990 (Sw. "Kunskapsledning") was a world-first with "Knowledge Management" in the title. Being owner of one of Sweden's largest publishing companies and a manager himself, he recognized the need to measure the intangible assets, and he went on pioneering accounting practices for intangible assets, testing them in his own company. 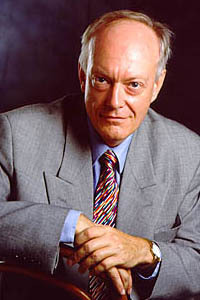 In 1989 he published the results of a working group in a book "The Invisible Balance Sheet", proposing a theory for measuring Intangible Assets. The approach was adopted by a large number of Swedish companies and in 1993 the Swedish Council of Service Industries recommended it as a standard, the first ever standard in this field. In 1993 Dr. Sveiby sold his company and began advising large multinational companies on how to implement the strategic aspects of managing knowledge organizations. In 1997 he summarized his findings in "The New Organizational Wealth" in which he outlined how adopting a "Knowledge- focused Strategy" will create both more human and more profitable organizations. His approaches are practical, because unlike most consultants Karl-Erik has implemented his concepts in his own company. Faithful to his own teachings he does not believe in lectures or information as methods of transferring knowledge so he has founded Sveiby Knowledge Associates, SKA, a global Community of Peers, helping corporations and governments world-wide how to make their organizations better for people. SKA clients include large global industrial groups, such as ABB, Ericsson, Siemens, Motorola, Nortel, and Microsoft; financial services companies such as Westpac Australia or Nedcor South Africa; public sector utilities, such as Queensland Rail in Australia and China Light and Power in Hong Kong; local and federal governments such as GippsIand Shire and Department of State and Regional Development in Australia; global professional services firms, such as PricewaterhouseCoopers and Deloitte Touche Tohmatsu and smaller professional services, such as Gadens Lawyers in Australia; and small, fast~growing hi-tech firms, such as MTN (Mobile Telephone Network) in South Africa and F-Secure in Finland. His website http://www.sveiby.com is visited by over 300,000 people annually and regarded one of the top resources on Knowledge Management and Intellectual Capital on the web.